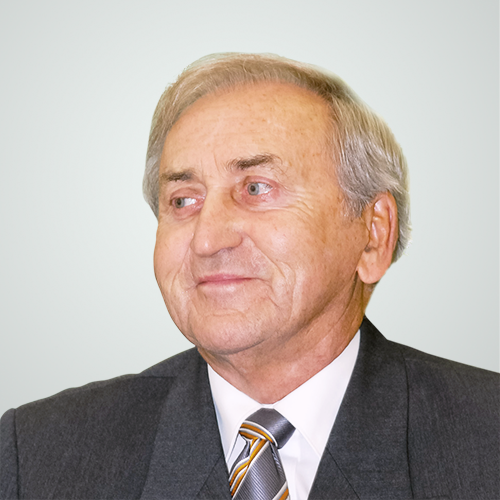 Emanuelis Kęstutis Jarašūnas (United States of America) is a professor of mechanical engineering at California State University (USA), doctor of science, specialist in design of lifting machinery and occupational safety. He worked with the engines of Polaris and Minuteman missiles for the company Aeroject General, and delivered lectures at California State University. He was recognised by the USA State Agency NASA for the improvement and adaptation of the design of missile lifting machinery and the valuable contribution to the missile industry. Professor worked as an advisor-consultant for material resistance at the aircraft manufacturer Boeing; and as an advisor for safety of lifting machinery at the American naval base at Long Beach. Company Boeing applied his invention – shock resistant material from titanium and vanadium. Professor Jarašūnas is a member of the Lithuanian-American Engineers and Architects Association, a member of the Committee of the American National Standards Institute (ANSI), advisor of the student department at the Society of Manufacturing Engineers (SME), professor of the Association of American Universities, and members of the California Faculty Association.